Seafood fraud is a serious global problem that undermines honest businesses and fishermen that play by the rules. It also threatens consumer health and puts our oceans at risk. As global fishing becomes more expansive and further industrialized, seafood fraud and its related impacts could get even worse. 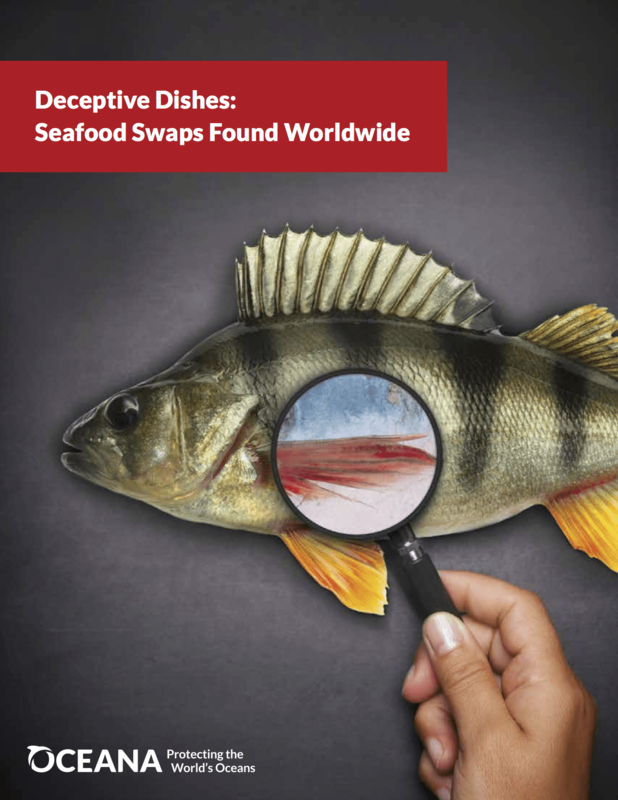 This update of Oceana’s 2014 review of seafood fraud studies demonstrates the global scope of the problem, but also reveals some promising trends due to recent regulations in the European Union (EU) that are increasing transparency and traceability as well as addressing illegal, unregulated and unreported (IUU) fishing. An interactive map of the global seafood fraud review compiled by Oceana can be found at www.oceana.org/seafoodfraudmap. This in-depth examination into global seafood fraud shows that it is still a serious problem, hurting consumers’ health and wallets, and threatening marine wildlife and ecosystems. However, traceability and accountability, where in place and enforced, appear to reduce rates of fraud in the EU. If the United States adopts comprehensive, full-chain traceability, it will be more difficult for bad actors to mislead consumers and exploit our oceans. It could also serve as a model elsewhere. The Presidential Task Force on Combating IUU Fishing and Seafood Fraud is at a critical crossroads. As the proposed Seafood Import Monitoring Program rule is being finalized and beyond, there are key opportunities to ensure that all seafood sold in the U.S. is safe, legally caught and honestly labeled.